Armstrong Chemtec also produces completely modularized systems with its high quality equipment. Systems are supplied fully piped with the desired instrumentation for straightforward incorporation into a larger process plant. Armstrong Chemtec’s modularized systems provide completely engineered solutions for your vaporization, electric heating, and scraped surface crystallization duties. 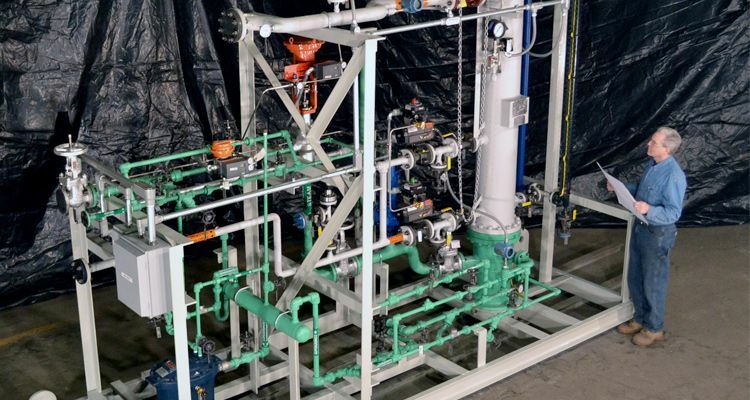 Such systems allow EPC contractors and end users to concentrate on plant-wide engineering, rather than the detailed design, fabrication, and testing of process modules. Onsite training is available to ensure safe, successful, and reliable equipment operation. All modular systems are delivered with comprehensive manufacturer data books that include material and equipment test reports, detailed installation, operating, maintenance instructions, data sheets and valve/instrumentation specification sheets.